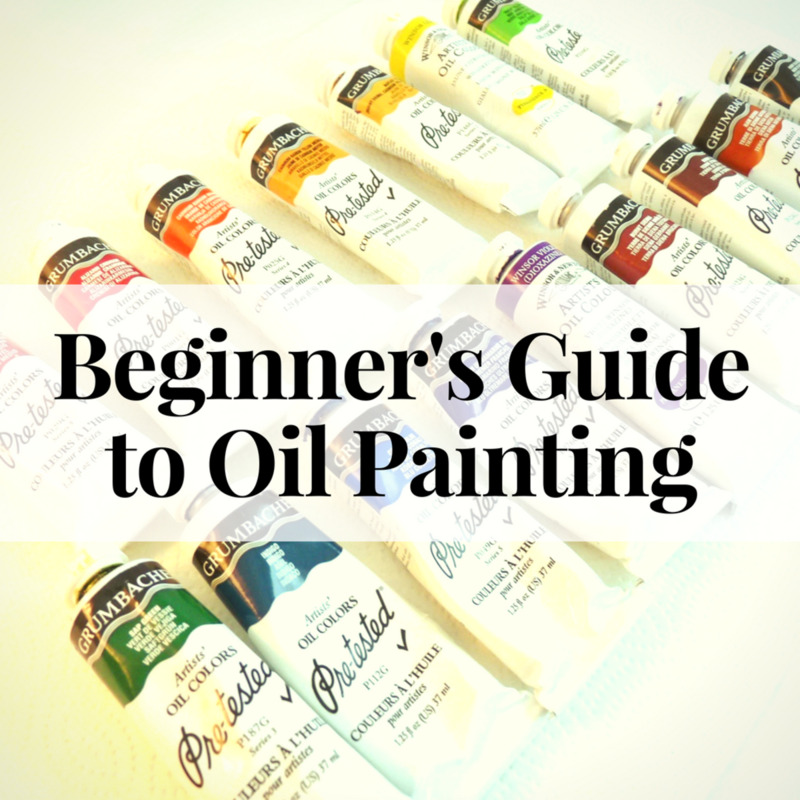 Get ready to learn how to prepare a canvas for oil painting, decide on a subject, and learn an easy technique to transfer a sketch from a drawing pad onto a blank canvas! 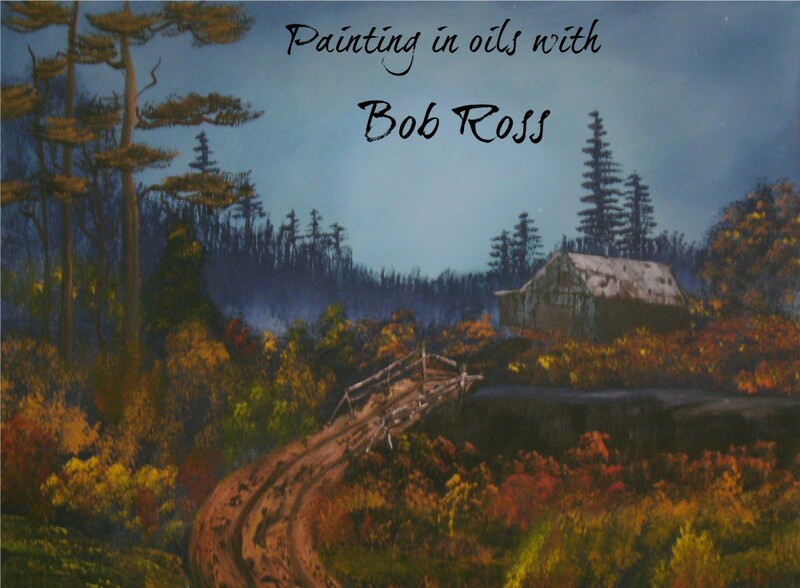 Gesso is an acrylic-based primer that will make the oil paints grip the surface of the canvas better. Even if the canvas you bought says it’s pre-primed, adding a coat of gesso will make a huge difference in how your paint goes on the canvas. 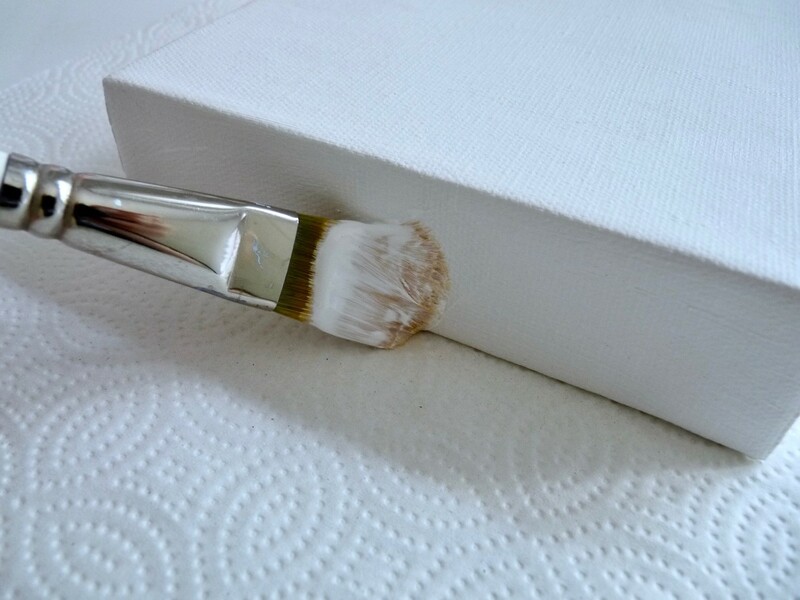 Gesso is water-soluble and, unlike oil paints, you can clean gesso off your paintbrush with water and a gentle soap. 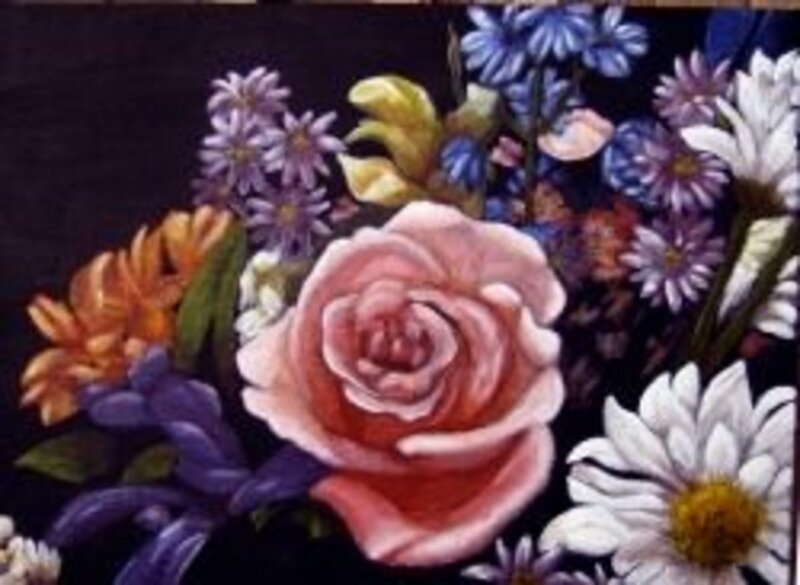 Place the canvas on a covered work surface. Put a little gesso into you small plastic container. Begin applying the gesso in neat, even, horizontal strokes across the canvas. You can re-dampen your paintbrush during this process if needed, but don’t over-thin the gesso with water. Also, don’t apply the gesso too thickly—otherwise, it may crack when it's dry. A light coat is perfect. Clean your brush with lukewarm water and a gentle soap as soon as you’re finished with the gesso. I like using either a dishwashing soap like Dawn or an art brush soap. Gently rinse your brush well until all the gesso comes out. Put it on a paper towel to dry. If the brush isn’t thoroughly cleaned and rinsed, the gesso will harden as it dries, and the brush may be ruined. 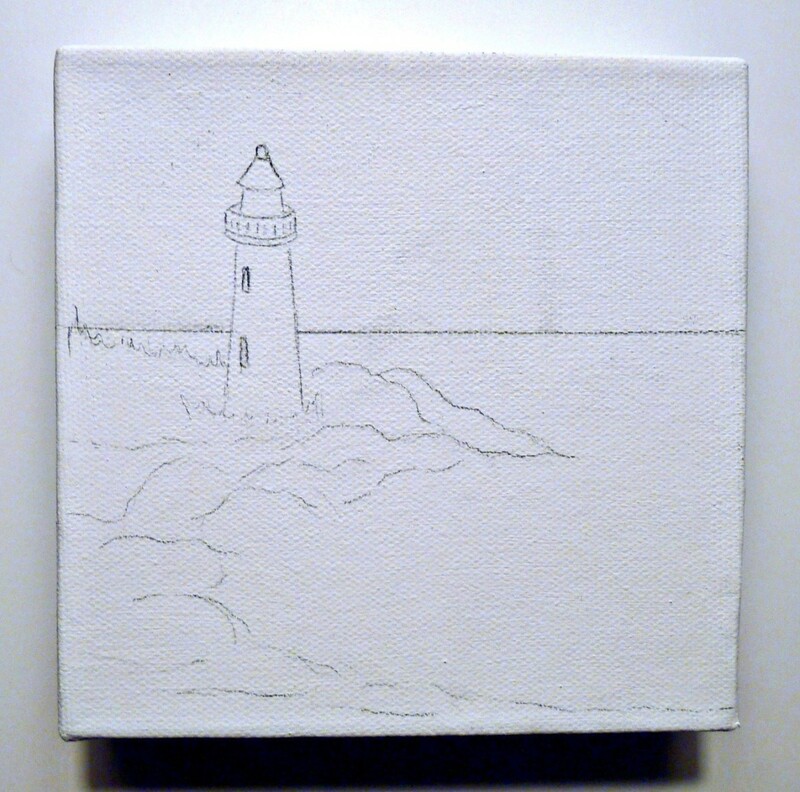 When you’ve covered the entire surface of the canvas with gesso, check to make sure everything looks nice and smooth. If needed, make a few quick touch-ups, but work quickly because once the gesso starts to dry, going over it repeatedly will smudge the surface. 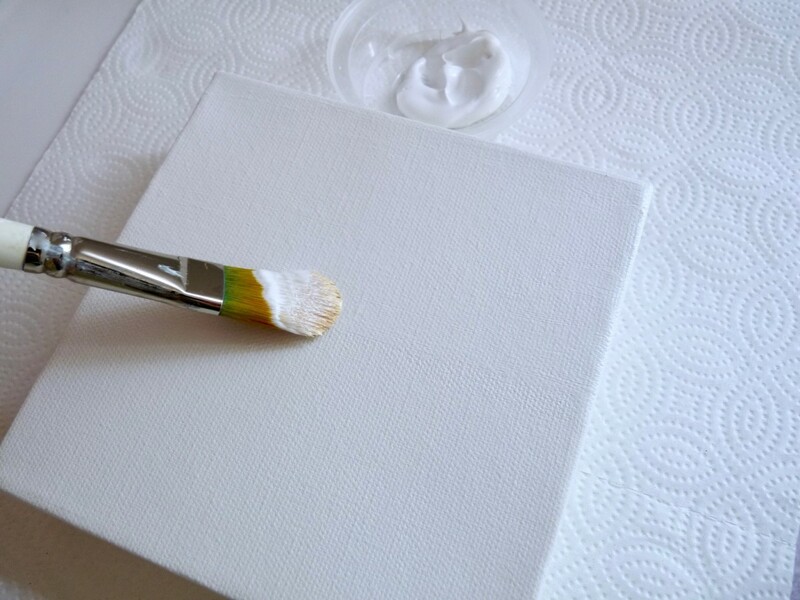 If you have a thick canvas with staple-free edges, apply the gesso to the sides too. 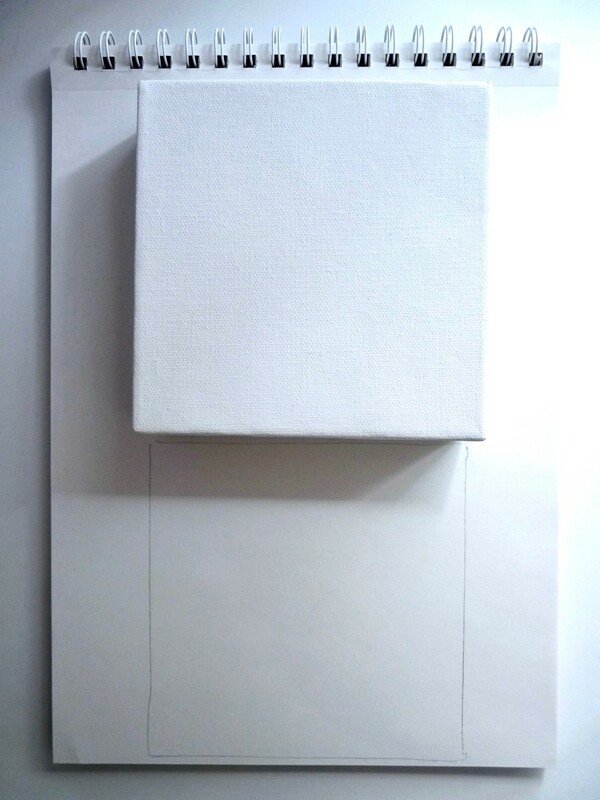 Once the gesso has been applied, your canvas should look similar to the photo above. Allow the canvas to dry for 24 hours before you paint on it. 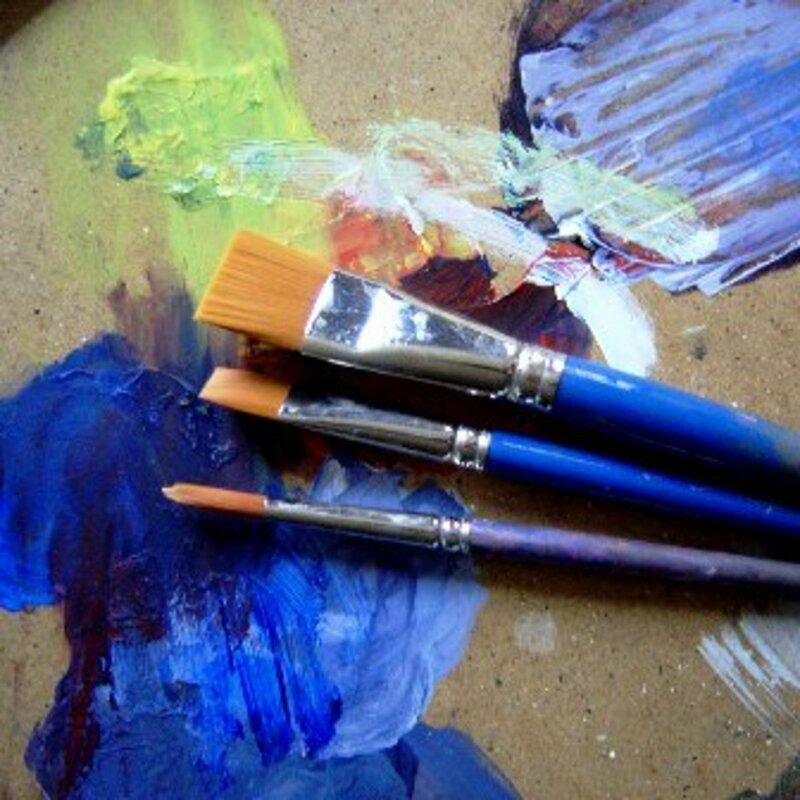 What you paint is entirely up to you. 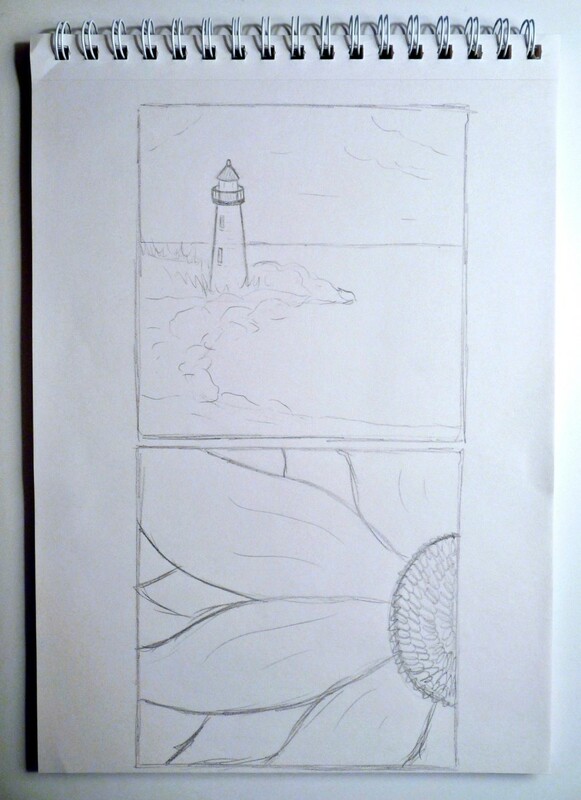 I sometimes find it helpful to make a few rough sketches on a sketchpad to plan out my painting in advance. 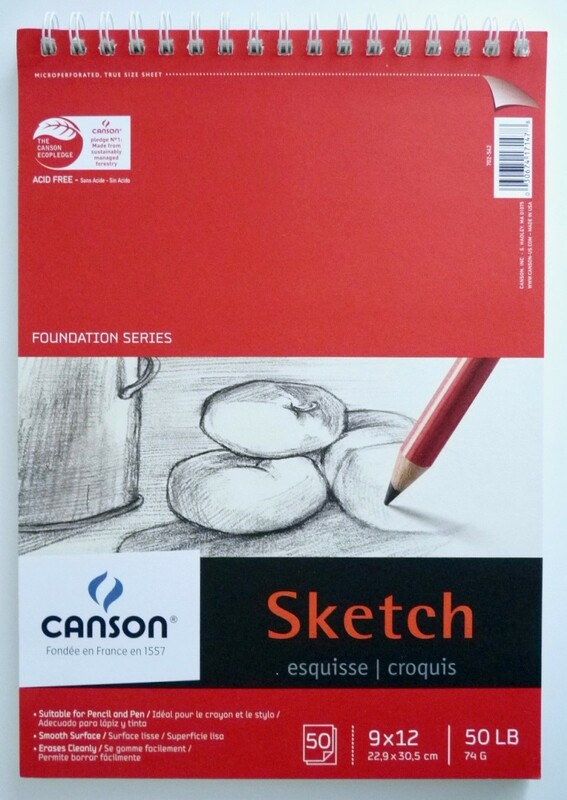 To make sure my sketch fits the canvas I plan to use, I trace the actual canvas onto my sketchpad as a guide. 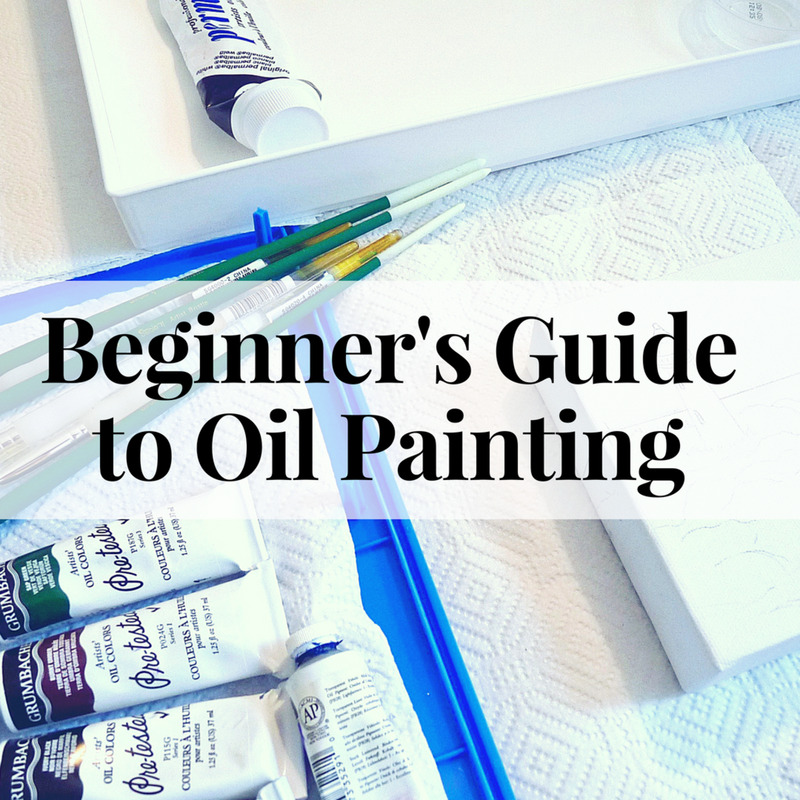 Just make sure you’ve let your gesso on the canvas dry completely before you do this step. Try as many sketches as you need until you find something you like. 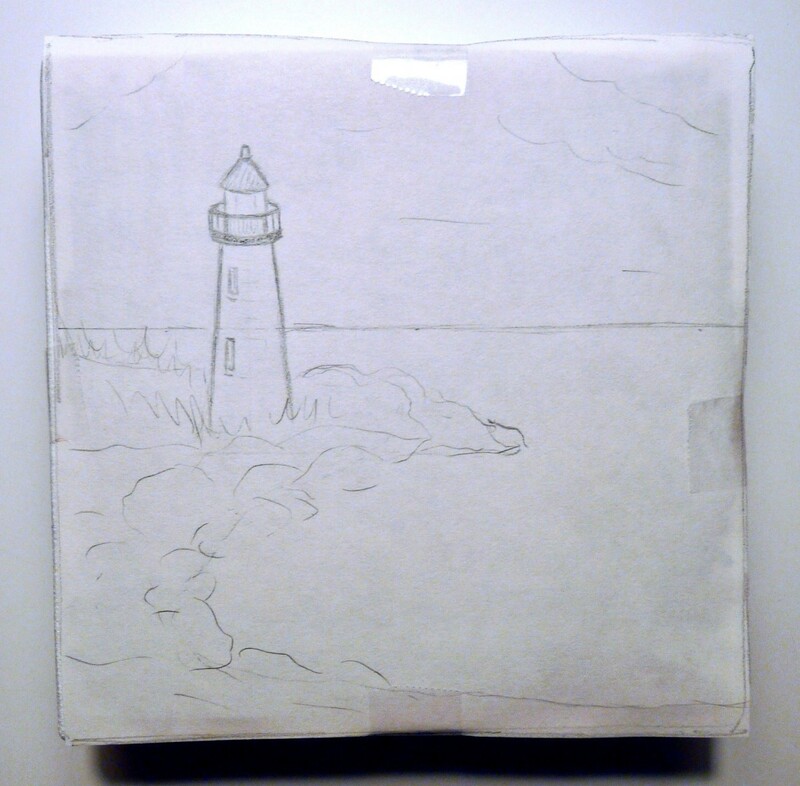 If you find something you like, you can either use it as a reference for your painting or trace it using tracing paper to transfer it to your canvas. If you prefer a more abstract design, skip this step and move onto the painting. If you plan to use a sketch, here are the steps for transferring your pencil sketch from your pad onto your canvas. Once you've decided on a sketch, neatly cut it out using your trace marks as a guide. Flip the sketch over. 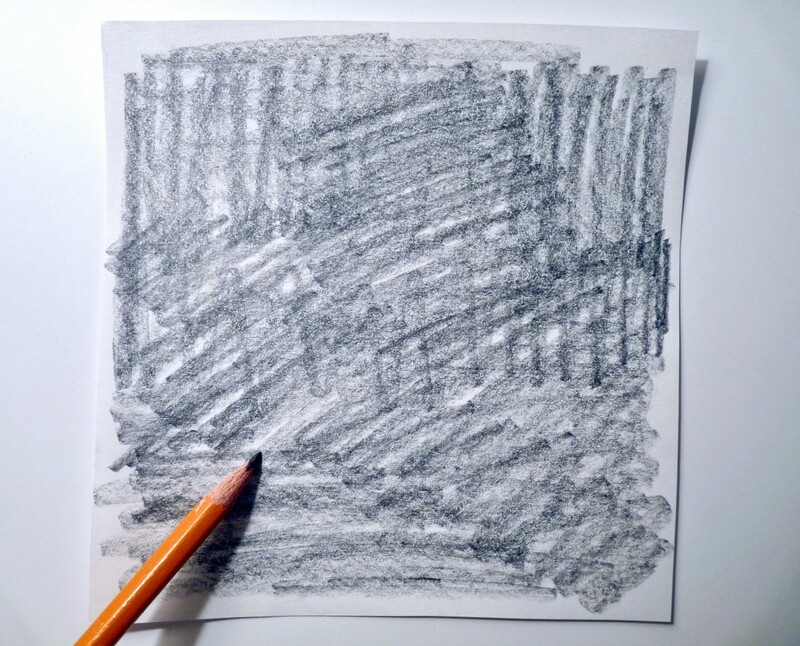 Use the side edge of the pencil to darken the back of your drawing. 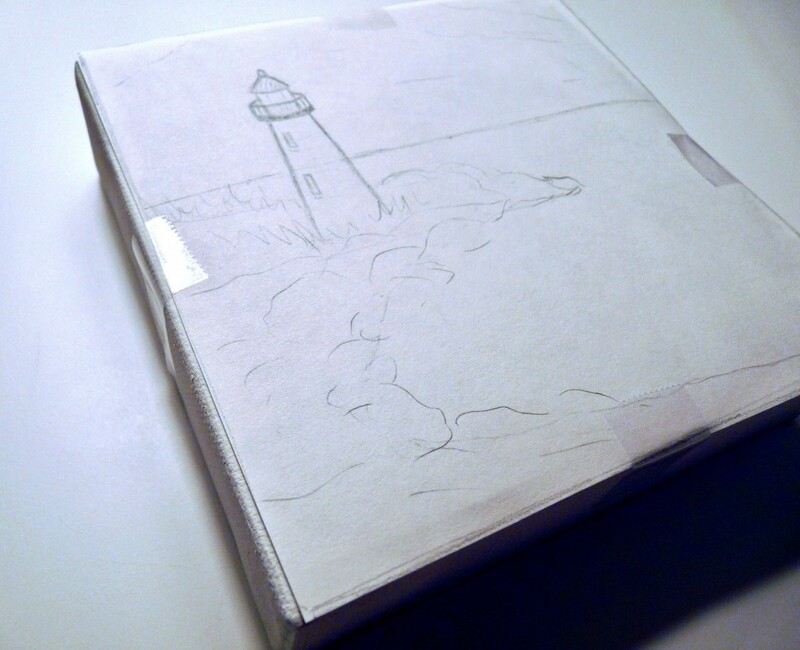 After the back is darkened, tape the sketch front-side up onto the canvas so it stays in place for the next step. Make sure it’s lined up straight because this is how your final image will be positioned on the canvas. 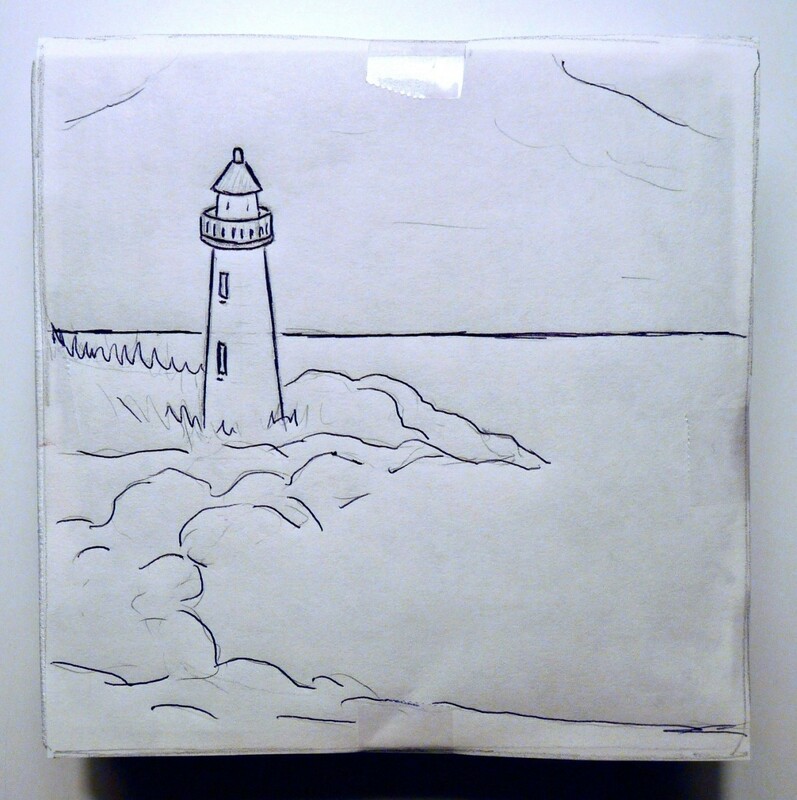 Once it’s securely taped, use a ballpoint pen to trace over all the lines of your sketch. Press hard enough to transfer the design but not so hard you tear your paper. Be sure all your pencil marks are covered with pen so you don’t miss anything. Now You're Ready to Start Painting! 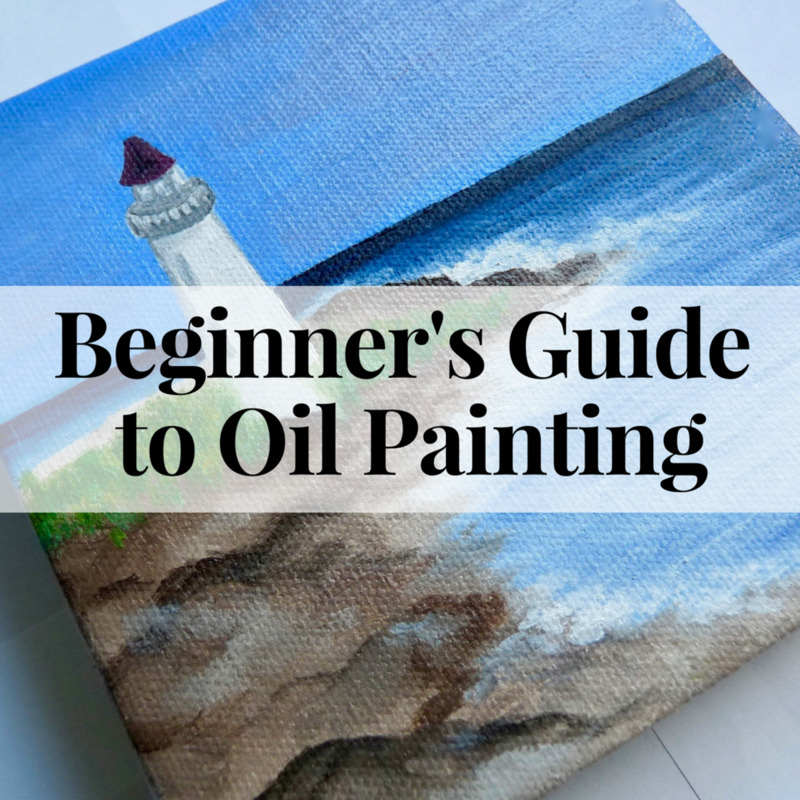 Now you’re ready to get painting, so be sure to continue onto the final article in the series to see the process of creating an oil painting from start to finish. I always wanted to know, how to trace and put it on a canvas. Thanks so much. You are just a great coach here. I love this and I love you for taking each step nice and slow. great work. kudos! I really enjoy the lessons. i learn so much every time and truly enjoy trying out the techniques..
What a great tip blackening the back and then going over with a ball point pen to get your lines on the canvas, this has been troubling me for ages! Thank you so much! great hub, you described every step with great detail. It's a great guide for beginners. 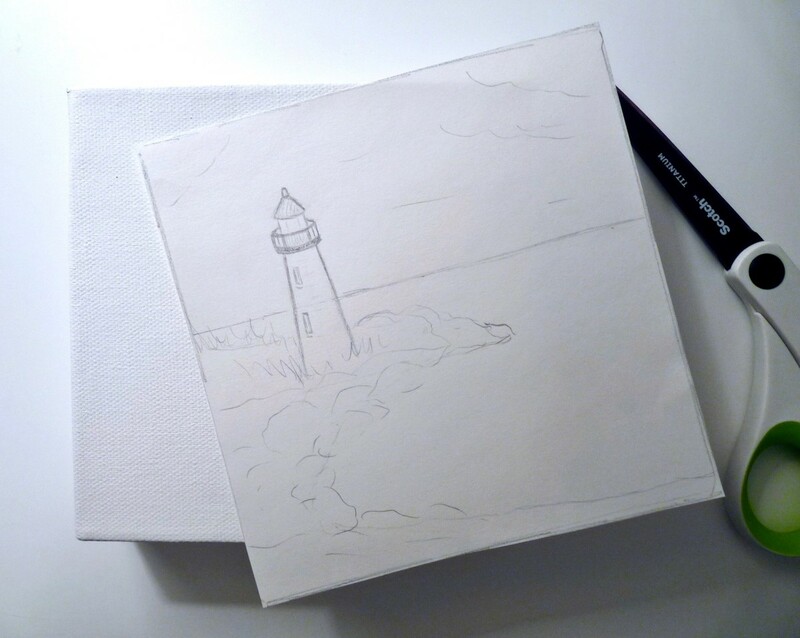 I liked your idea of transferring drawing on canvas.